We have 2 excellent pitches to hire for football & hockey. 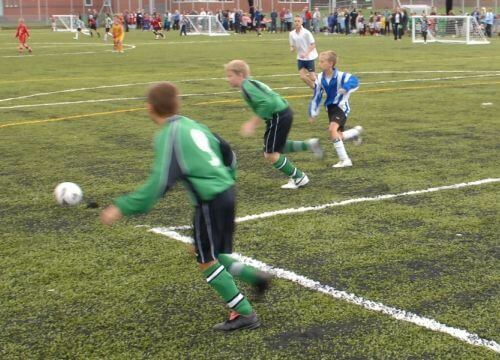 3G – or Third Generation - pitch is an artificial surface football matches can be played on as a substitute or alternative to grass. Payments to be made at the time of booking. Accounts can be set up for clubs to pay in advanced on a monthly basis. Toilet and changing facilities are available at the Leisure Centre, along with a licensed bar, hot drinks and vending snacks.